Daniel Levy is director of the Middle East and North Africa program at the European Council on Foreign Relations, based in London. He is also senior research fellow at the New America Foundation and a board member of the New Israel Fund. 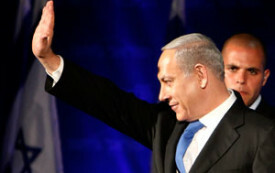 Can Israel’s Non-Right Ever Win? It is long past time to reject expansionism, intolerance and structural inequality and define what democratic Israeli patriotism really stands for.